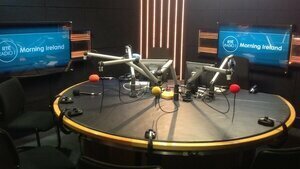 Gluaiseacht analysed two weeks of Morning Ireland broadcasts, separated by six months, in April and October. It found environmental stories were covered for only 0.92% of the time, while sports news accounted for 12.41% of the broadcast time, dedicated business news was covered for 5.57% of the time, and Brexit coverage accounted for 10.69% of the broadcast time. Only one feature story over the two weeks carried an environmental angle, a story about new research into how dandelion seeds fly…. “RTÉ and in this case Morning Ireland are failing to inform the public on environmental and climate change stories. We have seen from the aftermath of the BBC’s Blue Planet II series and the subsequent plastics campaign what public service broadcasting can achieve in mobilising the population for the common good. Yet RTÉ haven’t even had a standalone environmental correspondent since 2010, while in comparison they have lots of sports correspondents”.